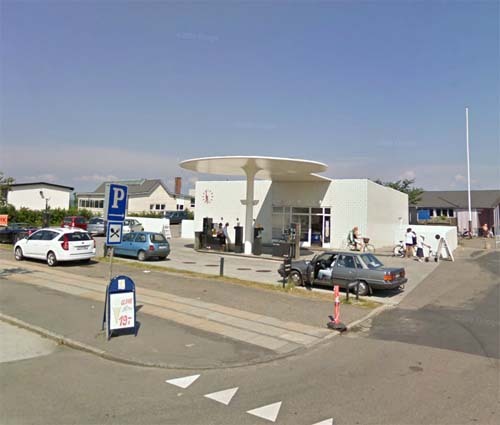 The Skovshoved Petrol Station (Danish: Skovshoved Tankstation) is a historic, still-operating filling station in Skovshoved at the northern outskirts of Copenhagen, Denmark. 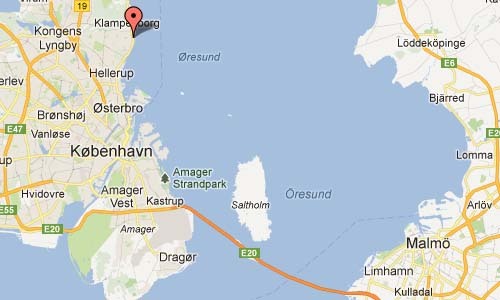 First opened in 1936, it was designed by Arne Jacobsen and is an example of the functionalist style typical of the time. It is Class A listed and was thoroughly restored in 2002. 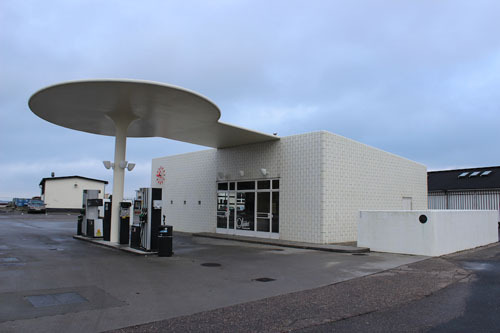 The filling station was originally commissioned by Texaco but is now operated by Uno-X. Whilst the pumps and the roof are still used as petrol station, the cashiers building now houses a shop, selling ice-cream, with no relation to the petrol-station business and operation. 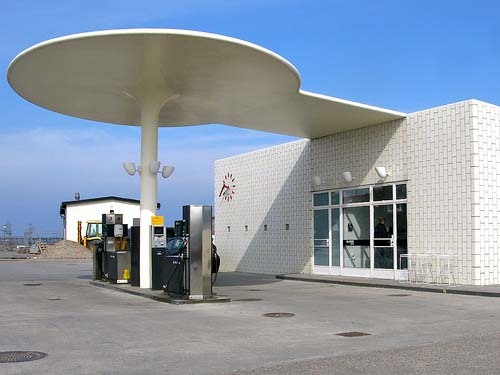 The exterior of the building is dominated by the projecting oval canopy, colloquially known as The Mushroom (Danish: Paddehatten). 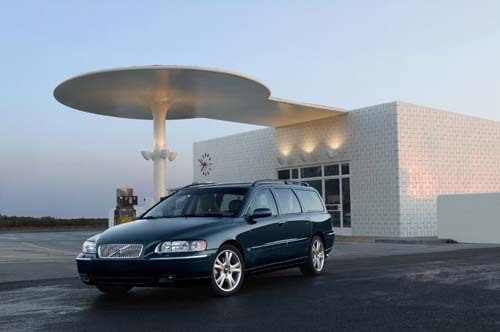 It offers shade and shelter for filling motorists but, illuminated from beneath, also doubles as a sign at night. The reinforced concrete building was faced with white Meissner tiles – signalling purity and cleanliness. By this simple means Arne Jacobsen managed to build an impressive structure – one that was later to be considered among his finest functionalist masterpieces. 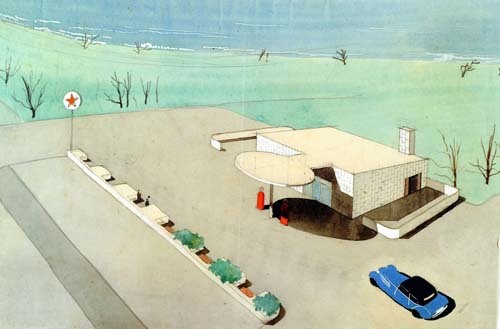 The petrol station was designed, under contract to Texaco, as a new standard model. But the model was never put into production. It is now a class A historic monument. 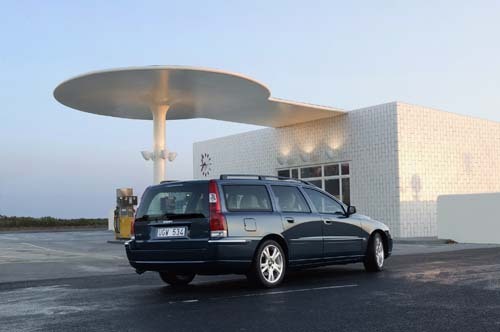 To this day, the petrol station remains the only one of its kind, fully intact and virtually unaltered since its erection in 1938. Only the petrol pumps are recent additions.